There’s been a lot of criticism about Bitcoin on the Internet lately. Since November 2017, the unconfirmed transactions pool had been spammed by certain groups who invested heavily in an alternative cryptocurrency. Transactions were made slow and expensive by this attack, users got frustrated and there was justified rage when transactions started taking days to complete. All this is expected, especially considering that Bitcoin is just beginning to get adopted on a larger scale. But some of the arguments made about Bitcoin are downright false or were the result of inappropriate comparisons between different layers of the financial settlement process. In this article we take a look at three very popular payment technologies and we attempt to explain how Bitcoin is the fastest solution. We take a look at some of the misconceptions and how different layers of these different payment technologies get inappropriately compared as if they were the same. Especially in what concerns actual financial settlement. While in Bitcoin the financial settlement is the transaction itself, this is not so in credit card and SWIFT transactions. So let’s get started and hopefully after this read you’ll have a better picture of Bitcoin transactions and the various applications that are still to be built on top of it (especially with the widespread adoption of SegWit, Lightning Network and future layers built on top of these). A lot has been said about credit cards being faster that Bitcoin. Credit card settlement actually takes several days and involves at least 3 banks in the process. There is the merchant’s bank, the settlement bank and the customer’s bank. Money must flow through these 3 institutions in order to complete a credit card transaction. As the name implies, credit cards are an instrument of credit. Therefore no actual cash is moved in real time. The transaction confirmation that a customer receives is but a receipt and does not actually indicate financial settlement. Credit card transactions are roughly analog to a second layer application on top of traditional bank accounts. Money does not immediately move when you perform a credit card transaction, but the funds must be present on the bank account once the due date arrives. This is analog to implementing second layer solutions on top of Bitcoin. Lightning Network, for instance, will create a fast channel between parties which will allow instant confirmations just like credit card receipts are printed in real time. But the actual transaction will only be committed to the blockchain at a later time, analog to the due date on credit cards. As you can see, credit cards per se do not represent a dynamic quality of fiat money. It is an application built on top of fiat money. With SegWit and Lightning Network, Bitcoin can perform just like credit cards, providing instant confirmations while delaying the settlement to a later time. There’s one big difference between Lightning Network and credit cards, though: Bitcoin and LN are 100% secure, irreversible, non refutable, 100% transparent and they only involve two parties: the seller and the buyer. No intermediary banks, no middlemen of any kind, no bureaucracy. Not to mention that, in some countries, merchants have to wait up to 60 days to actually receive funds from credit card sales. This, of course, depends on individual agreements with banks and may vary between countries. Therefore customers may perceive a certain speed in credit card transactions, but the comparison with the first layer of Bitcoin simply does not apply. SWIFT is probably the oldest, and slowest, of the three methods of money transfers that we consider in this article. This technology was developed in 1973 and perhaps shouldn’t be considered a payment method itself, because it’s not. But, since customers are able to send and receive money using SWIFT, we’ll discuss it for the sake of completeness. In short, SWIFT is a messaging protocol. As with every protocol, it’s a set of procedures that two parties agree on in order to accomplish something. In this case messages are traded and banks agree on settling the amounts described in those messages. So if Alice sends $1000 to Bob via SWIFT, a message goes out from Alice’s bank to Bob’s bank. Bob’s account is credited by the bank, but just like with credit card, there is no financial settlement taking place until a lot later. How much later? There is no set period. Banks simply agree to compensate each other after a certain period of time. Say, at the end of the month, it is determined that bank A owes $ 5 million to bank B, and bank B owes $3 million back to bank A. In this case there will be a compensation of $2 million from banks A to B.
Bitcoin almost works like a “SWIFT card” : it allows you to transfer money across the world, but it’s instantaneous, low priced and bureaucracy free. 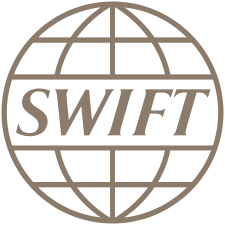 This is all there is to the SWIFT protocol: it’s a messaging standard that is used and agreed upon by most, if not all, the world’s banks. The same analogy we used for credit cards applies here. This is not a first layer payment solution like Bitcoin. It is a second or even third layer application built on top of checking accounts. While the money leaves the customer’s account at the time the SWIFT transfer is requested, it is not compensated between banks, nor does it get sent directly to its destination like Bitcoin does. While Bitcoin mining of the transaction may take a while, it is sent to the final destination from the beginning, there is no middleman. The financial settlement of these messages may take days or even weeks in some countries. SWIFT transfers to third world countries are notably slow, especially where heavy bureaucracy is involved (which is not a problem with the payment method in itself, but it’s a fair point for comparison since Bitcoin simply does not involve any of this). The last of the three transfer methods we chose is also the fastest. This is possible because WU is itself a bank which guarantees the payment will be honored not only directly to customers but also to partner financial institutions with which it will perform financial compensations. Therefore WU is usually able to cut one of the middlemen and perform the compensation themselves. Of the three payment methods compared in this article, WU is the fairest comparison to Bitcoin because it actually performs financial settlement at the same time it performs payment. Basically the WU system is a bank account you temporarily “rent” for the duration of a certain transfer. You deposit money with them, they send a message to a target branch saying this money is available to the recipient. It’s basically a bank wire transfer where you hold a temporary bank account for the duration of the transfer itself. Of course, this is not a decentralized system, quite the contrary, it is a fully centralized payment method which is made possible because WU holds enough cash reserves and technological means to honor payments in real time around the world. They also boast a state of the art communications network which allows for very fast synchronization between branches. It is expected that Western Union would have excellent intercontinental communications since they were pioneers in the telegraph industry and practically controlled American telecommunications for a good fraction of the 19th century. We argue that Bitcoin is faster than Western Union based on the procedure required to send money using each method. While Western Union’s financial settlement in itself is fast, you can’t simply push a button and get money across the globe. With WU, you must prove your identity, provide documents, comply with a bunch of bureaucracy before you must send money. All this time must be considered as part of the transfer procedure, since it’s impossible to get money to the destination without complying. This highlights yet another Bitcoin advantage : you can move billions of U$ in BTC paying the same fee as you would for a few hundred dollars. This is possible because Bitcoin fees depend on physical transaction size in bytes. BTC transfer fees are determined based on the number of inputs and outputs in the transaction and not by transaction amount. So, if a Bitcoin balance is composed of a single input, then you would pay a tiny fee even if this input were worth billions of U$. Here we attempted to send the approximate value of one Bitcoin using Western Union. Their system immediately requested that we upgrade to the WU Online FX service. While signing up is free, as can be seen above, the identification procedure will take a while to complete. 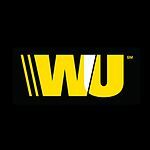 There’s yet another issue with Western Union that does not affect Bitcoin transfer: currency exchange rates. This actually affects every kind of transfer mentioned in this article. Credit cards always employ an exchange rate that is favorable to the bank and not the customer. SWIFT transfers also may require a local conversion before it’s sent, and this conversion always will be performed at a rate that is favorable to the bank. If the exchange rate is 3:1 for some arbitrary currency, the bank will pay you 2.7 to 1 max. They always take an average 5 to 10% in their favor. Whether it’s the time you spend driving to a WU office or the time it takes to comply with all regulations, Bitcoin would have already delivered your money by then. At the current fees (February 2018), Bitcoin is almost free to send in real time. We didn’t mention Paypal and direct wire transfers, for several reasons. Paypal is meant for quick online payments, not for large transfers. They charge a percentage on the transfer amount and this percentage ranges from 5 to over 7% which makes it inappropriate for larger sums of money. In short, Paypal is very practical for quick online purchases, it adds to customer privacy by not revealing the source credit card and other customer data. There is certainly value to Paypal otherwise it would not survive as long in this cut-throat market. But any comparison between Paypal and Bitcoin would necessarily be unfair as they serve completely different purposes. We hope to have been able to show how Bitcoin excels over these three mainstream payment methods and how it provides a much faster payment solution in all three cases. We expect large banking institutions like Western Union, credit card processors and even SWIFT-like transfers to adapt to the new reality brought by Bitcoin and other cryptocurrencies. Slowly, the traditional banking system will have to adapt to these emerging technologies or face certain extinction in face of the speed, security and low cost of Bitcoin transactions. Do you really need a hardware wallet? Previous: The year of the Proof of Work genocide? Next: ELI5: What is a full node?